Alagappa University Located at Karaikudi in Tamil Nadu is a public university founded by Padma Bhusan Vallal Dr. R. M. Alagappa Chettiar. The University was brought into existence by a special Act passed by Tamil Nadu State Legislature in 1985. The University is recognized by UGC and ranked “A+” Grade by NAAC. 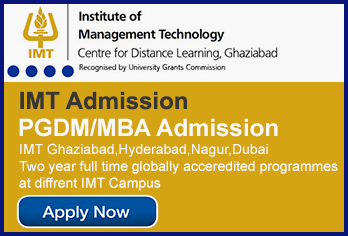 Alagappa University also offers 5 years integrated distance MBA programme in both English and Tamil Medium. Candidates can take admission directly from the University or through one of the Learning Centres approved by the University. The list of University approved Learning Centres are present on the University website. The study materials and Contact Classes will be arranged at the place where the candidate has taken admission. Approved Learning Centres on payment of prescribed fees, or downloaded from the official website of the University. The candidate has to pay an application fee of Rs. 300/- at the time of submission of application form along with course fees. Candidates who have acquired P.G qualification directly under University stream are not eligible for admission in any U.G. and P.G. Programmes. 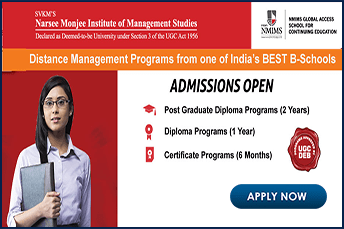 Any Degree from UGC recognized University is a mandatory requirement for admission in Distance MBA programmes. S. No. 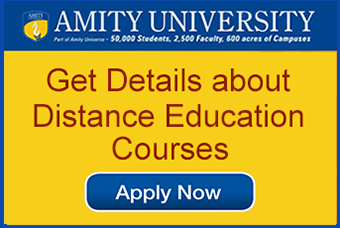 Programmes Offered Course Fee Rs. University Fee Rs. Learning Centre share Rs. Alagappa University is ranked 43 overall in India and 27 among universities by NIRF in 2018. It is the first University in Tamil Nadu to get A+ grade by NAAC with a score of 3.64 and to get Autonomy Status from MHRD-UGC. Address: The Director, Directorate of Distance Education, Alagappa University, Karaikudi- 630003, Tamil Nadu.